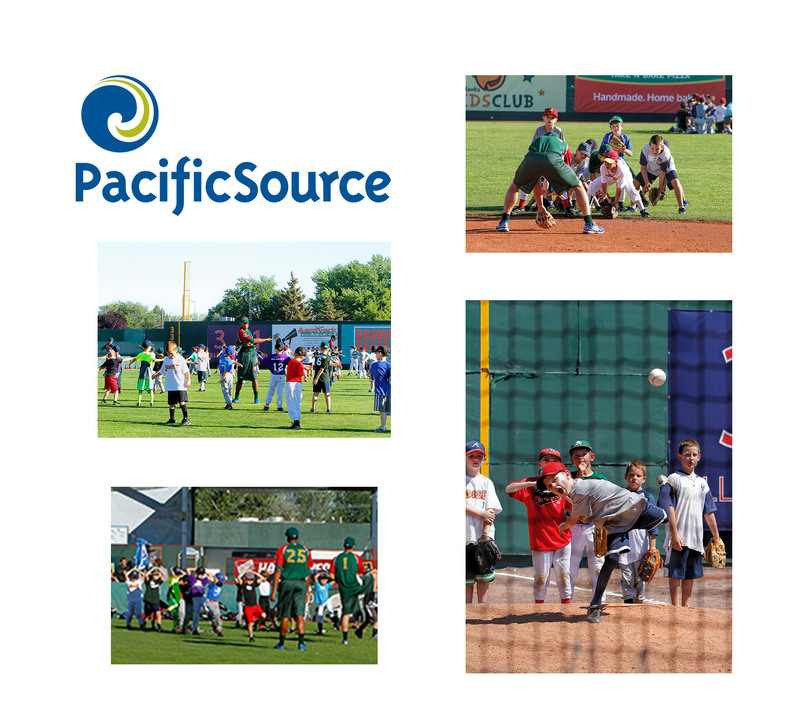 YOUR Boise Hawks teamed up with Pacific Source once again to promote healthy choices and being active for the second year in a row. The 2013 Boise Hawks Baseball Camp took place over two days, June 27- 28 and brought out even more kids than last year. There were 110 participants and a team of 16 Boise Hawks along with Manager Gary Van Tol helping out. The kids had the opportunity to work on stretching, hitting, pitching, catching, etc. There were 10 teams that rotated between different stations throughout the two days. From what I heard, the Radar machine was the favorite amongst the young athletes. I had the chance to catch up with four of the youngsters while they were enjoying their team lunch at the conclusion of day one. Three out of the four claimed the radar was the best station while one little guy loved the catching station and praised his coach, Lance Rymel, catcher for YOUR Boise Hawks. Nicholas McDaniel, son of our team photographer, Scott McDaniel, and his friends, Ryan Baker, Peter Palavos, and Nathan Palavos are all teammates on the Yankees for the Meridian PAL. The camp goers also got the chance for a little fun on the slip-N-slide, lunch with the players, and an autograph session on day two. Check YOUR Boise Hawks social media sites for pictures from camp and for information on how you can sign up to participate next year. When will the baseball camp information be updated? If you check our website I will post it on there as soon as we have the information. At the moment we have it planned for July 16th – 17th … feel free to email me at courtney@boisehawks.com if you don’t see anything by mid April.